What makes us grow attached to places? Maybe its the sounds of a loved ones laughter, the baby’s first steps, that dish that just melts in you mouth, the smell of fresh cut flowers, that embarrassing moment that became the inside joke. Whether good or bad, places for whatever reason can start to hold special places in our hearts and memories. 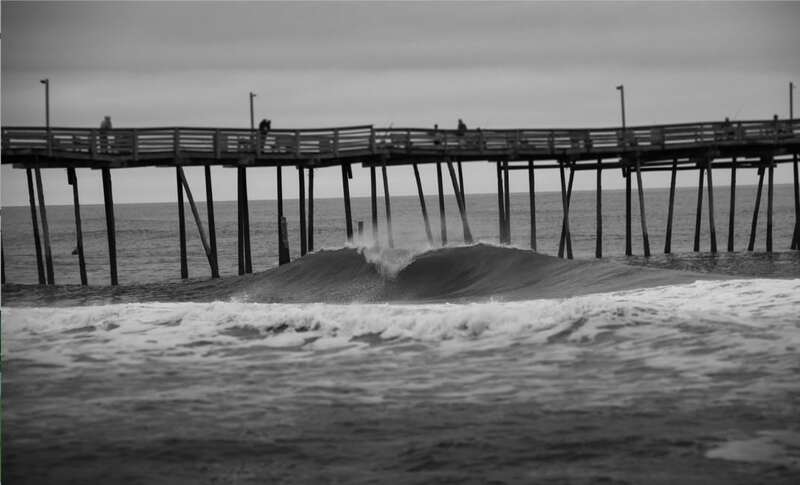 The Avalon Pier Outer Banks is one of those places for me. 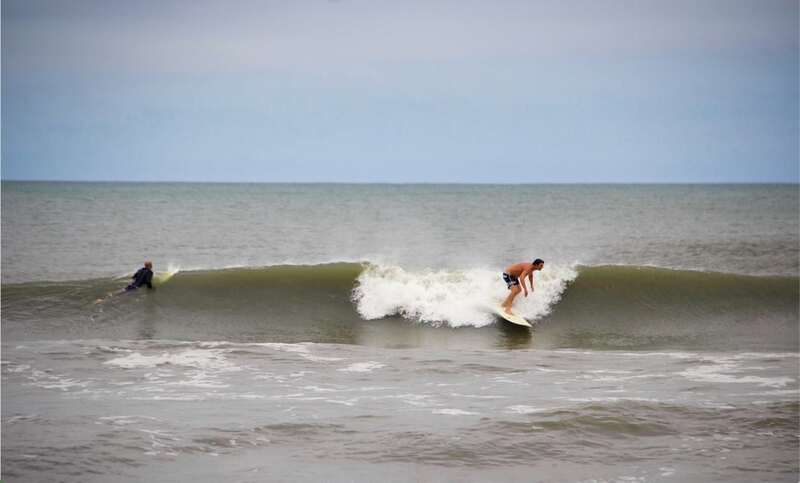 The good thing about the Outer Banks is that its got plenty of piers that everyone can enjoy. 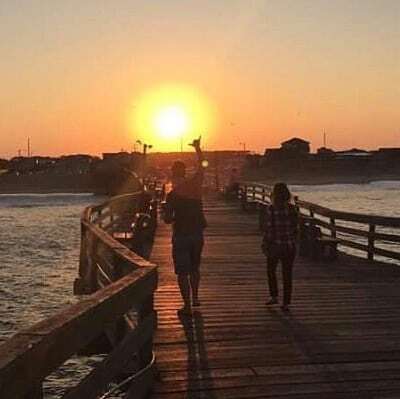 Visit the lively piers of Nags Head or maybe visit the remnants of piers that once were with the Frisco Pier, plenty to chose from, and probably the first reason I love the Avalon fishing pier is its proximity. 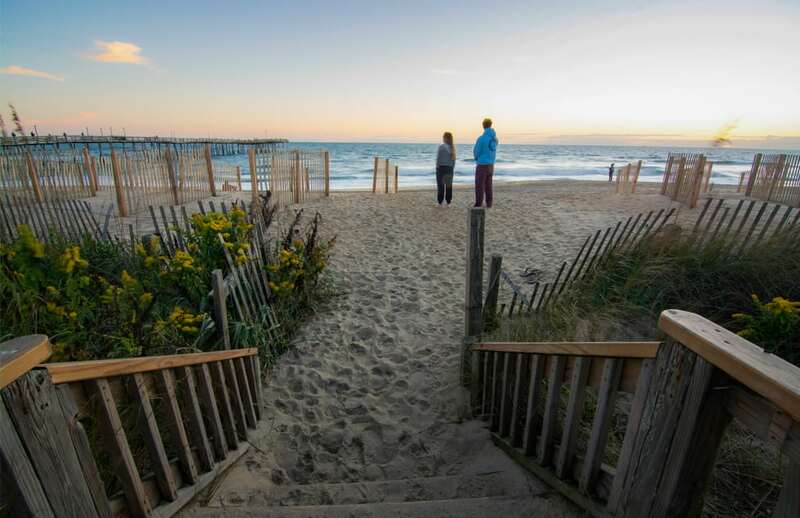 Its just a short walk from our Avalon Beach Bungalow. And one of my favorite things to do, when I can get myself out of bed, is to take that short walk to the Avalon Beach Access in the morning before the sunrises. Busy season or slow season, the early morning is a peaceful time that all the other fellow early risers can take in all to their selves. My days of long nights at the bar, shots into the wee hours, and waking up with my eye liner on still are long gone, but I still need to get out of the bungalow! 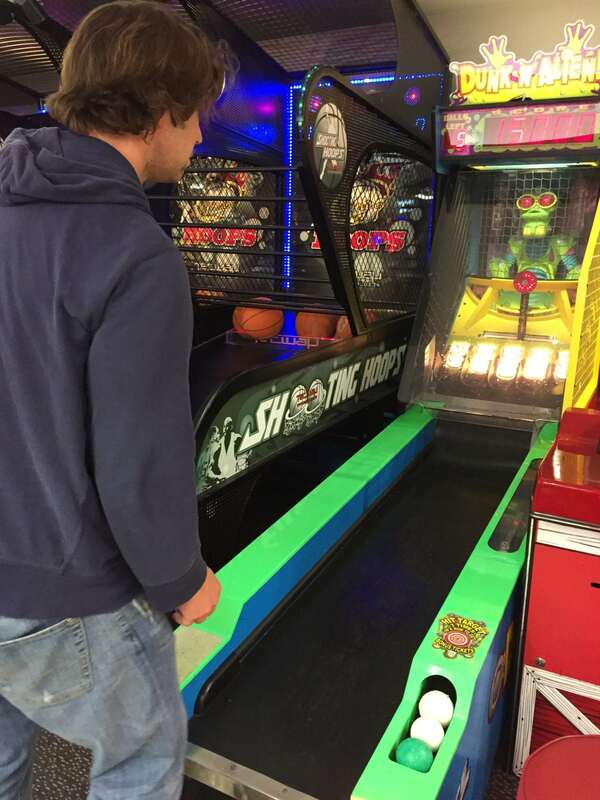 I don’t know why, but Mike and I love playing skee ball. Now it wasn’t love at first sight over as we reached for the same skee ball, but its something we both get a kick out of playing. Mike tends to want to play even more when I win! 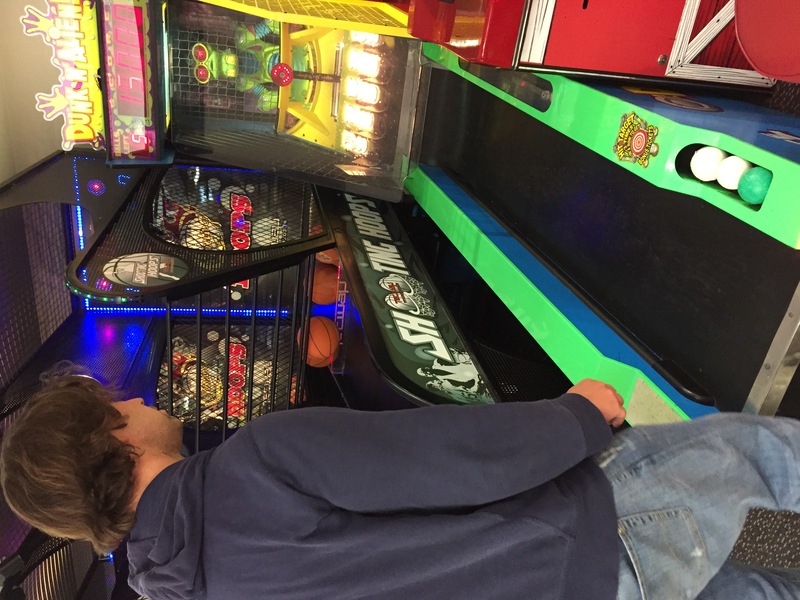 With the Avalon Pier Outer Banks so close, we discovered they also have an arcade. It’s not the fanciest arcade, and I will say after having visited the Santa Cruz Pier in California recently, it barely compares in scale. But they have 3 skee ball machines, if you are lucky two will be working and you hope at least one is working. Go to the pier and grab a beer and let the skee ball begin. Now they even have a full service bar and not just the cans of Coors Light from the counter (though we will miss that counter beer). Oh yeah! The obvious! 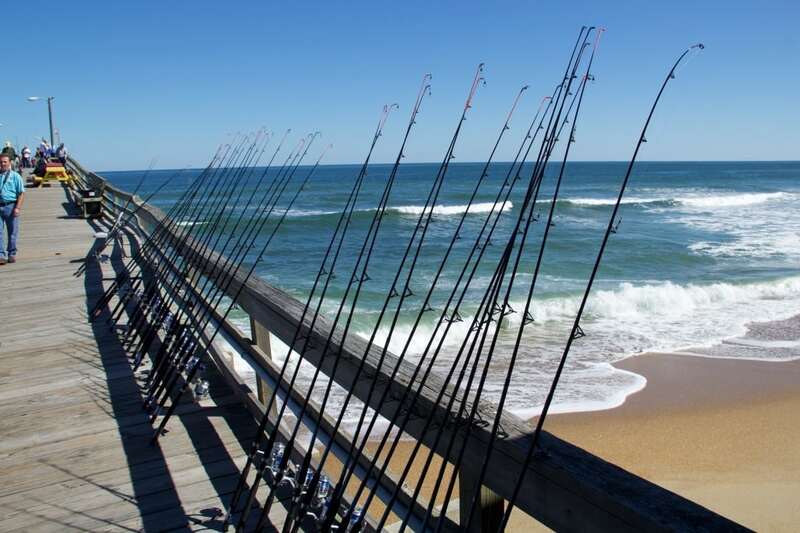 Take a walk or fish from the pier! 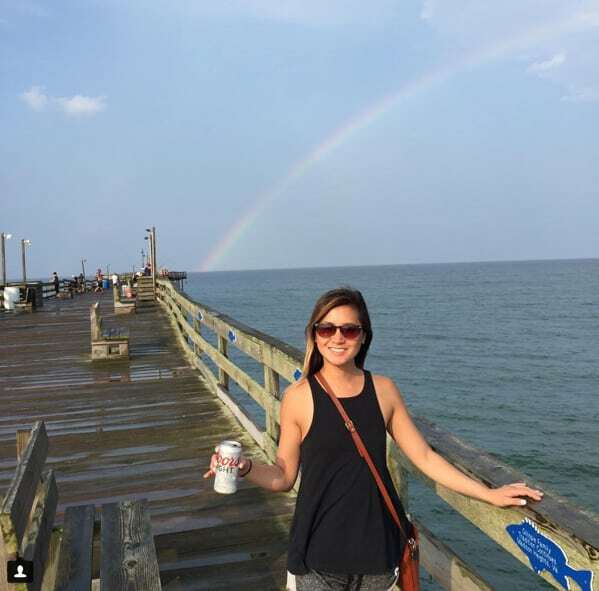 It’s always fun to tell our upcoming guests that stay with us or take our friends out for a walk on the pier. Its a close stop for a quick fish, even if you didn’t bring your pole! Well I don’t know if it should be your favorite pier! But I do think you’ll be happy if you decide to visit the pier and decide for yourself. 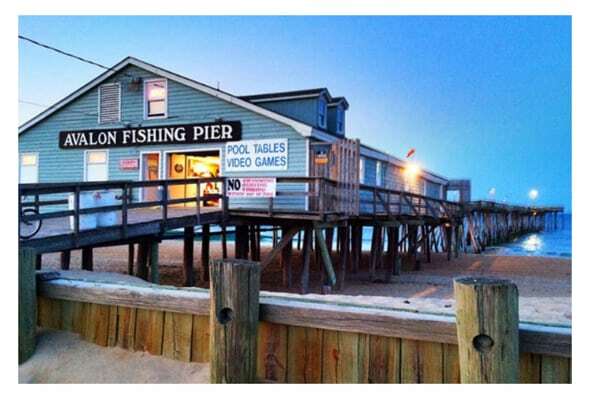 If you like nostalgic piers, like fishing, like a cold brew and old arcade games, this might not be your favorite pier, but sure to be a good time!